A hardy, functional blade, the Xtreme Clip Point Tactical Knife makes an excellent choice for regular use in the house or outdoors. 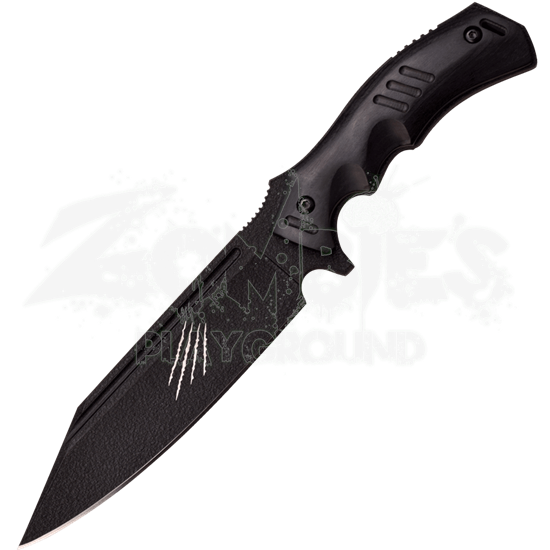 The stainless steel knife features a top notch tactical appearance, as well, with its black finish. Four claw marks add a touch of style to the black blade, and a polished black pakkawood handle completes the design. 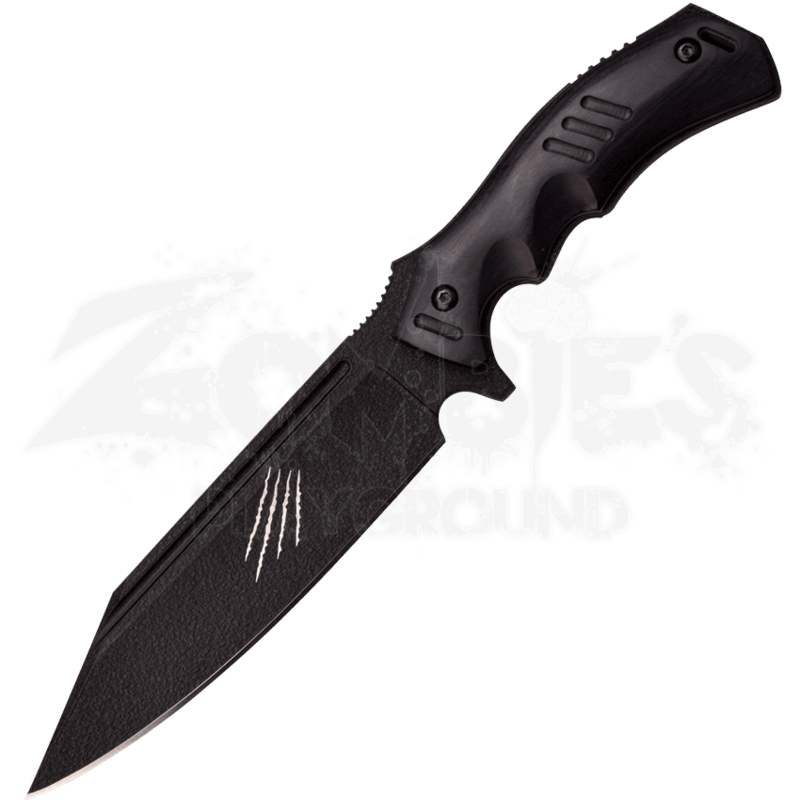 The fixed blade knife comes with its own black sheath, which mimics the look of a MOLLE sheath. Whether you are heading out camping or simply want to keep a utility knife close at hand, this tactical blade will suit your needs perfectly.